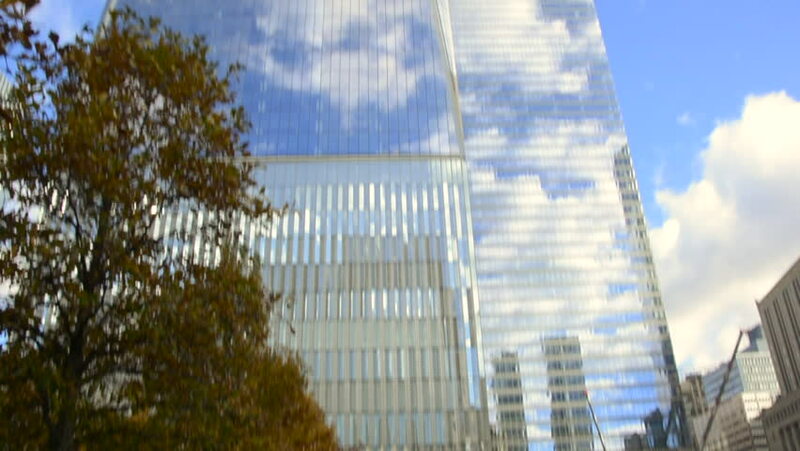 New York, USA, november 2016: One world trade center Freedom Tower building in New York city and its reflection. 911 Memorial Plaza. One World Trade Center, Freedom Tower. 4k00:16Miami , United States - June, 2017: Metro mover seen in Miami, Florida, USA. 4k00:09A daytime establishing shot of a modern-style office building. hd00:19The scene travels into the darkness under the skyway joining two huge corporate office buildings and through to the open blue sky on other side.